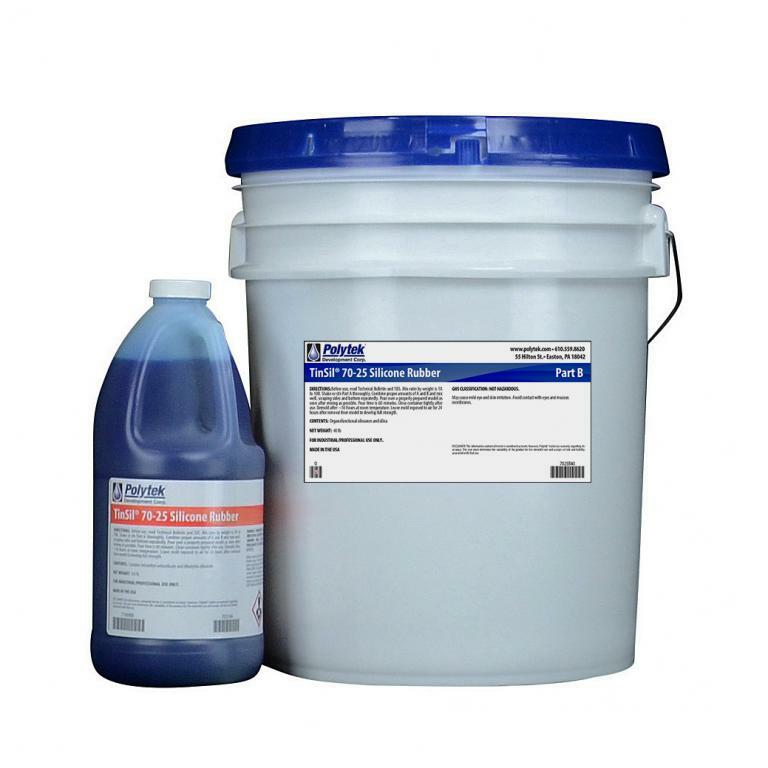 TinSil® 70 Series RTV Silicone Rubbers arecondensation-cure, tin-catalyzed, flexible mold rubbers. TinSil products consist of a liquid Part B base and Part A accelerator, which, after mixing at the proper ratio by weight, cure at room temperature to rubber with a tough, knotty tear property. TinSil molds have easy release properties and are resistant to high temperatures. TinSil molds are excellent for casting polyesters, epoxy and polyurethane resins, waxes and many other materials. As with other Polytek® elastomers, the last two digits in the product name indicate the approximate Shore A hardness of the cured rubber.